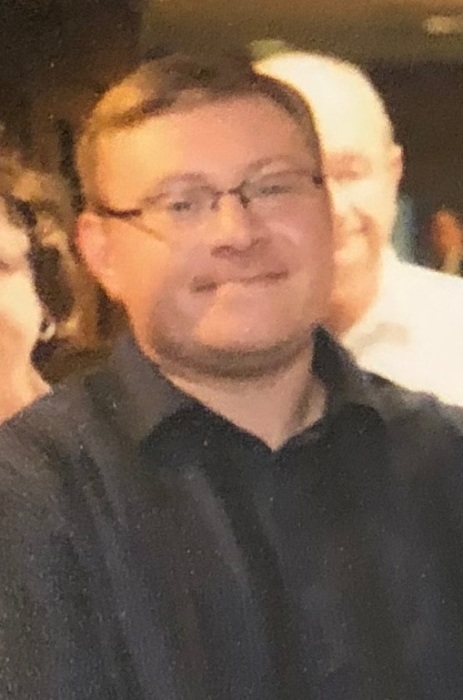 Michael Wayne Thompson, 38, of Tuscola, IL passed away on Monday, February 11, 2019 at his residence. Funeral services will be held at 12:00 P.M. (Noon) on Saturday, February 16, 2019 at the Bourbon Baptist Church in Bourbon, IL. Rev. Dan Fultz will officiate. Burial will follow in the Bourbon Cemetery. Visitation will be held two hours prior to the service from 10:00 A.M. to noon. The Edwards Funeral Home is assisting with arrangements. Michael was born on October 8, 1980 in Tuscola, IL. He was a son of Brett Anthony Thompson and Vicki Ann (Young) Bishop. Survivors include one son, Kyler David Skaggs of Tuscola, IL, his mom, Vicki Bishop of Windsor, IL, his dad, Brett Thompson and his wife Stephanie of Milton, FL, one sister, Michelle Thompson of Evansville, IN, one brother, Edwin Durham and his fiancé Megan of Bloomington, IL, his maternal grandparents, Mary Helen Young and her husband Jim Buttry of Harold, IL, his paternal grandparents, Sharon Thompson of Bourbon, IL and Tony Thompson and his wife Ardith of Punta Gordo, FL, aunts and uncles, Patti Ketchmark and her husband Greg of Urbana, IL, Connie Stirling and her husband Gordon of Wentzville, MO, Beth Rahn and her husband Cary of Bourbon, IL, Barbara Thompson and her husband Dr. Leonard Bogle of Fisher, IL, and John W. Thompson and his wife Carissa of Argyle, TX and cousins, Jennifer Ketchmark-Brehm and her husband Mitch of Hazard, KY, Danielle Runyon and her husband Garrett of Rantoul, IL, Rachel and Kyle Stirling of Wentzville, MO, Nicholas Rahn and Sara Sentel and family of Arthur, IL, Cortney Gee and her husband Sheldon of Bourbon, IL, Zoey and Benjamin Thompson both of Fisher, IL and Jackson, Tate and Wyatt Thompson all of Argyle, TX. He was preceded in death by his maternal grandfather, Donald Ray Young and his step-father, Paul Bishop. Michael graduated from Arthur High School in 1999. He was an avid Chicago Bears fan, Chicago Cubs fan, and University of Illinois football and basketball fan. He enjoyed cooking and he dearly loved his son, his grandmothers, his family and his dog Layla. In lieu of flowers, memorials may be made to Kyler Skaggs Education Fund.